HollyFrontier Cheyenne Refining LLC, a subsidiary of HollyFrontier Corp., Dallas, has purchased and installed the MetalGuard™ Selenium online analyzer from Aqua Metrology Systems (AMS) to measure the wastewater selenium profile at the Cheyenne Refinery, Cheyenne, Wyoming. The Cheyenne Refinery, with a crude oil capacity of 52,000 barrels per day, is using an advanced bioreactor technology to remove selenium from their wastewater. Selenium analysis on influent and effluent levels is required to optimize and measure bioreactor performance. Analytical results from standard methods can take up to two weeks to be returned, whereas the MetalGuard analyzer provides real-time data on selenite/selenate levels. The MetalGuard instrument is unique in its ability to provide online measurements in less than two hours with accuracy from 1 - 10,000 ppb or ± 15%; whichever is higher for inorganic/organic selenium. Aqua Metrology Systems Ltd. (AMS) is the leader of online analytical instrumentation for the detection of water contaminants, specifically disinfection by-products and trace metals, across municipal and industrial sectors. We believe real-time water quality analysis is essential to environmental protection. As a result, our technical solutions provide accurate and reliable data on water quality contaminants through continuous monitoring. 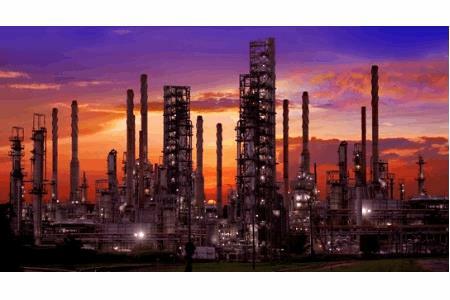 HollyFrontier Corporation, headquartered in Dallas, Texas, is an independent petroleum refiner and marketer producing high-value light products such as gasoline, diesel fuel, jet fuel and other specialty products. HollyFrontier operates through its subsidiaries a 135,000 barrels per stream day ("BPSD") refinery located in El Dorado, Kansas, two refinery facilities with a combined capacity of 125,000 BPSD located in Tulsa, Oklahoma, a 100,000 BPSD refinery located in Artesia, New Mexico, a 52,000 BPSD refinery located in Cheyenne, Wyoming and a 45,000 BPSD refinery in Woods Cross, Utah. HollyFrontier markets its refined products principally in the Southwest U.S., the Rocky Mountains extending into the Pacific Northwest and in other neighboring Plains states. A subsidiary of HollyFrontier also owns a 36% interest (including the general partner interest) in Holly Energy Partners, L.P.